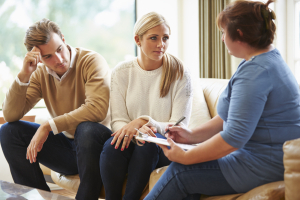 Mediation is a voluntary process where divorcing couples work together with a trained mediator to negotiate and resolve their differences in a non-adversarial forum. The mediator has no authority to make the participants agree to a settlement. The mediator’s task is only to facilitate the ability of the participants to negotiate their own agreements through a balanced dialogue. This form of alternative dispute resolution is based on the premise that the people getting divorced are in the best position to make decisions that will have long-term personal and financial consequences in their lives. Because mediation is a viable alternative to costly adversarial litigation, Iowans are increasingly using mediation to resolve not only their divorces, but also their custody, visitation, and property disputes.